It’s that time of the week when we take a quick look at what movies are hot at the US Box Office. These figures are for US Box Office 13 January 2017. None of last weeks new releases are able to take the top spot with The Bye Bye Man (Horror, Thriller) doing the best entering at four. So another week at number one for Hidden Figures. Rogue One: A Star Wars Story may be on the way out but still takes a very respectable $13 million. Don’t forget to check back on Thursday for this weeks new cinema releases along with movie trailers. This week sees the release of M. Night Shyamalan’s new movie, more on that on Thursday. 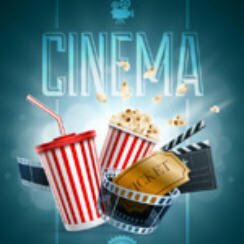 UK Cinema Charts July 13 2018: Is Skyscraper Standing Tall At The Top of The Charts?